Michael Coss has made it his mission to inspire. 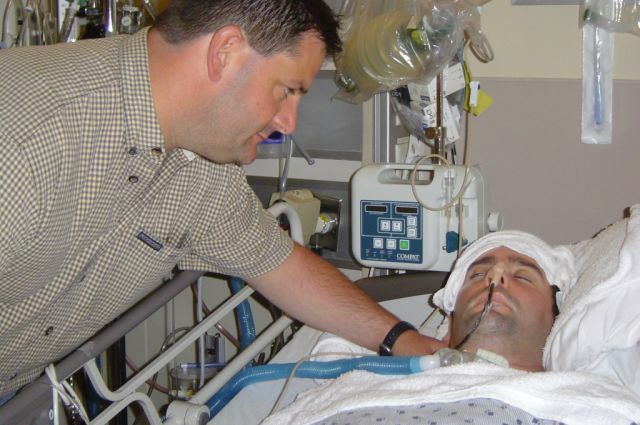 Twelve years ago, his future appeared bleak to many after the van he was driving rolled over on the Coquihalla Highway. He suffered a traumatic brain injury and remained in a coma for six months at Royal Columbian Hospital, the health region’s referral centre for brain and spine surgery. While the accident permanently changed his life, the 49-year-old sees lots of opportunity in his remarkable and ongoing recovery. Michael (3rd from left) with parents Bob and Suzie Coss, twelve years after Michael’s traumatic brain injury. While Michael has no memory of being at Royal Columbian, clinical nurse specialist Trudy Robertson remembers. She was a clinical nurse educator on the hospital’s neurosciences unit when Michael arrived. In addition to treating the severe diffuse axonal brain injury, the care team had to work to prevent a number of potential complications. These can include pneumonia, infections and muscle spasticity. Michael, in a coma in 2006. For months, the progress was very hard to recognize. 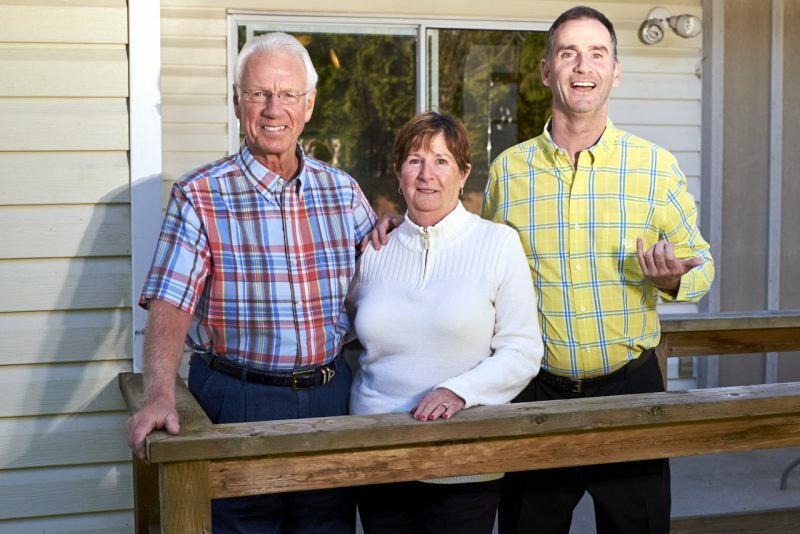 Michael’s parents Bob and Suzie came from Quebec to be at their son’s bedside every day. A few months after being admitted, with few encouraging signs in his prognosis, Michael’s parents arranged for him to be transported regularly to Richmond for special hyperbaric oxygen therapy treatment. “Paramedics would come, and we would wrap Michael in blankets and put him on a stretcher and take him,” says Suzie. From there, Michael started showing new signs of recovery. His eyes started to focus. His fingers began to move. “I can remember some of the nurses being so full of enthusiasm and so happy for Michael,” recalls Bob. Michael had to relearn everything, from swallowing to sitting and speaking. He eventually progressed from a wheelchair to his own two feet. These days, Michael seeks many opportunities to share his story and help others who face similar challenges.